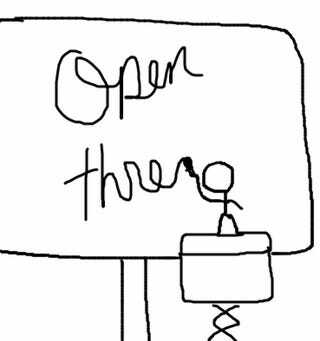 We here at Hackerspace immensely appreciate our authors who take on the arduous task of hosting the open thread. It’s a fun thing that many people wish to do! However, since the open thread is shared to Lifehacker, we need to make sure it meets Lifehacker, as well as Hackerspace, standards. Paragraph 1: Welcome people to Hackerspace/the open thread, presented proudly by Lifehacker. Paragraph 2: Round up of a few Hackerspace posts from the previous week to promote the fine work our authors share within our community. Paragraph 3: Link to the Hackerspace guide and talk up authorship. All images, videos, languages, and links must be safe for work. Paragraphs should be between 5-7 (relatively short) sentences. List items more than about 15 words long are paragraphs. Posts should not deviate too far from the theme of Lifehacker Friday open thread. While we value creativity, once your post stops being about the Friday open thread for Lifehacker/Hackerspace readers, this might constitute its own post, which we can promote on the Hackerspace/Lifehacker open thread!